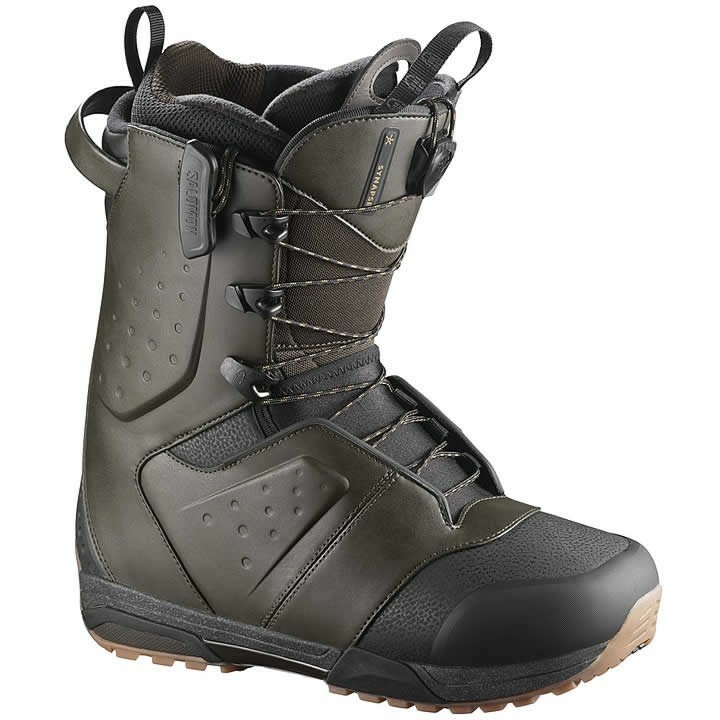 Designed to lead the all-mountain expedition, the all new Salomon Synapse Snowboard Boot features PowerLock Lacing, totally redesigned upper and new Trek EC+ outsole, and features the new Platinum Liner for premium breathability. Platinum liner with Quickdry Insole provides a breathable sole with mesh channels that dries the liner out quickly and drains humidity out of your boots. Powerlock lace system has a criss cross locker on the tongue and anti-catch hooks on the upper combined for a easy and secure closure. Trek EC+ outsole has been developed to offer the best of touring: High traction specific design and maximum dampening, inspired by hiking boots. Platinum: A Salomon standard and a pioneer in lacing systems. The soul of Salomon's well known lacing system has a bombproof criss cross locker on the tongue and anti-catch hooks on the upper. A truly powerful and easy system that can handle anything. Powerlock: A Salomon standard and a pioneer in lacing systems. The soul of Salomon's well known lacing system has a bombproof criss cross locker on the tongue and anti-catch hooks on the upper. A truly powerful and easy system that can handle anything.